Over the last two weeks, perhaps a little more, I’ve been praying fervently for direction. I was sure my path led to traditional publishing and I still think it will lead that way in the future. There are two blogs that I follow and read every day. As soon as I began praying about direction, those two blogs seemed to write posts directed at me (I know they weren’t). Have you ever sat in church and felt as if the sermon was directed right at you and it was utterly convicting? That is what this felt like. Every post was convicting to me as to why I am not ready for the small circle that is traditional publishing. I don’t take this negatively, everything they mentioned is attainable with perseverance. At that time I also found a secret group for Christian authors on Facebook and was utterly comforted and encouraged. All that to say that I have decided to self publish the novel I’ve been talking about for months now. The novel I started calling Life Renewed which morphed into To Honor and Cherish. It is the first book in The Western Vows Trilogy. It should be up for preview in the next few days. 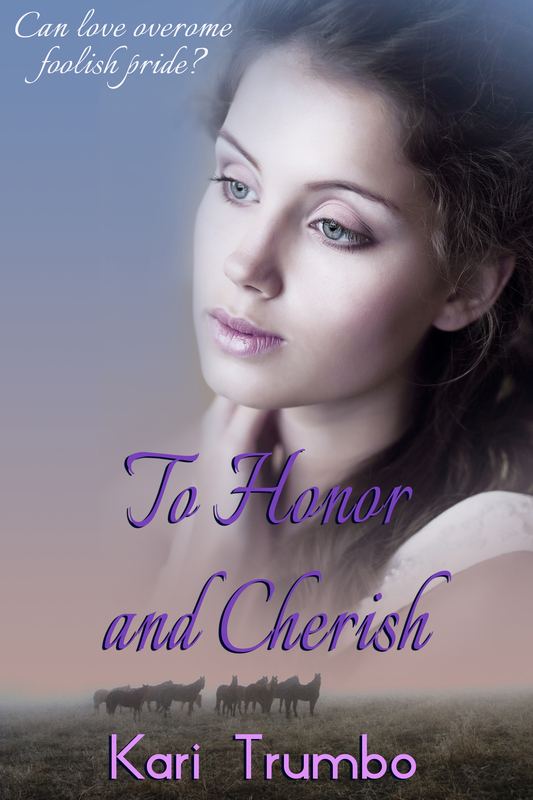 Without further ado, the cover for To Honor and Cherish. There are three other titles which I will release over the next eighteen months; Forsaking All Others, For Richer or Poorer, and In Sickness and in Health. To finally see my name on the bottom of a cover has my stomach in knots and makes my heart race. As for me, I am thrilled!! Can’t wait to read it!! Thank you. I appreciate that so much!